Algae control for filamentous algae in ponds in Canada. String Algae is a problem that affects most ponds, the rapid growing filamentous stringy algae can spoil the appearance of the pond. It will also clog pumps and filtration equipment. 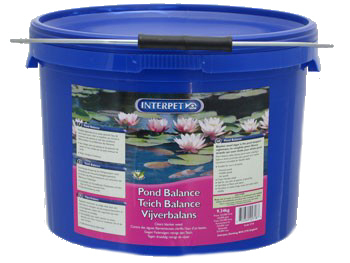 Pond Balance makes key nutrients unavailable to algae preventing string algae and horse hair algae and blanketweed from forming. Use it as part of your advanced pond care system. Interpet Pond Balance® Pond Treatment. Locks out nutrients string algae needs. Award Winning Interpet Pond Balance is the solution to this problem. Pond Balance is a unique non-algicide plant friendly formula ensuring that no harm comes to any other pond plants, fish, filtration bacteria or water using wildlife. Pond Balance does not affect plants because it works by making unavailable a nutrient that is only required by filamentous algae and thus literally starves it out of existence. 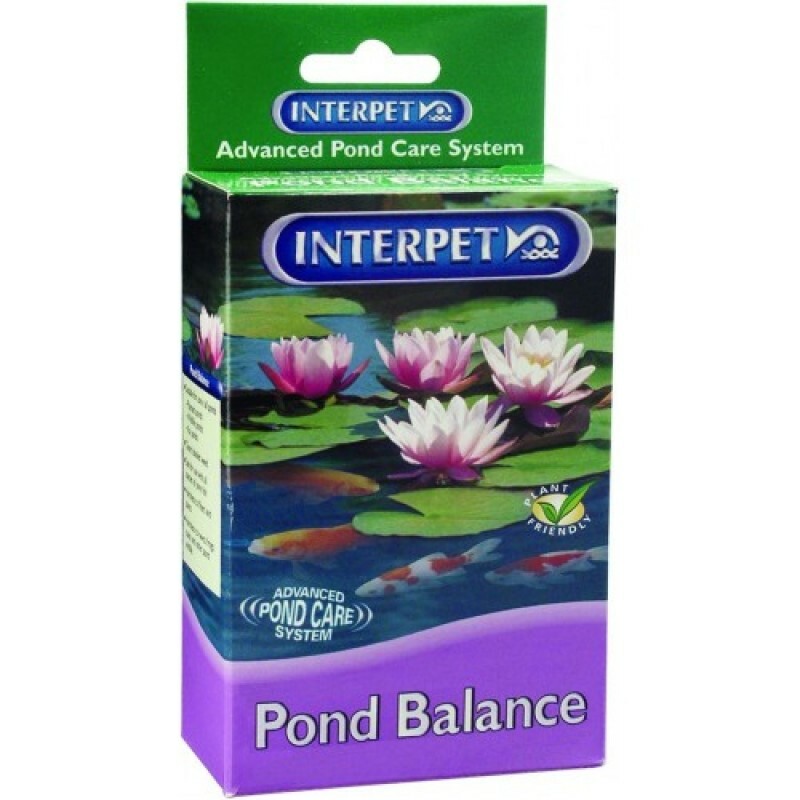 Pond Balance also contains plant stimulants and so helps establish a naturally balanced pond. This granular product is easy to apply. String algae grows all of the time but it does best in clear, moving water. The reason string algae grows best in these conditions is that in clear water there is very little competition for nutrients and the movement of the water affords a constant supply of food. String algae also grows well in the winter time. String algae in the koi pond or water garden is a problem that affects most of us as the rapid growing filamentous string algae can spoil the appearance of the pond. String algae will also clog pumps and filtration equipment. Algae in a water garden will grow on and choke out your plants. Control of algae in your koi pond or water garden can be as simple as a monthy addition of Pond Balance. Pond balance gives you control of algae in your pond! Pond Balance makes key micro-nutrients unavailable to string algae. Makes key Micro Nutrients unavailable to blanket weed. Pond Balance loosens blanket weed for easy removal by filtration. Your answer to a clean, healthy pond.